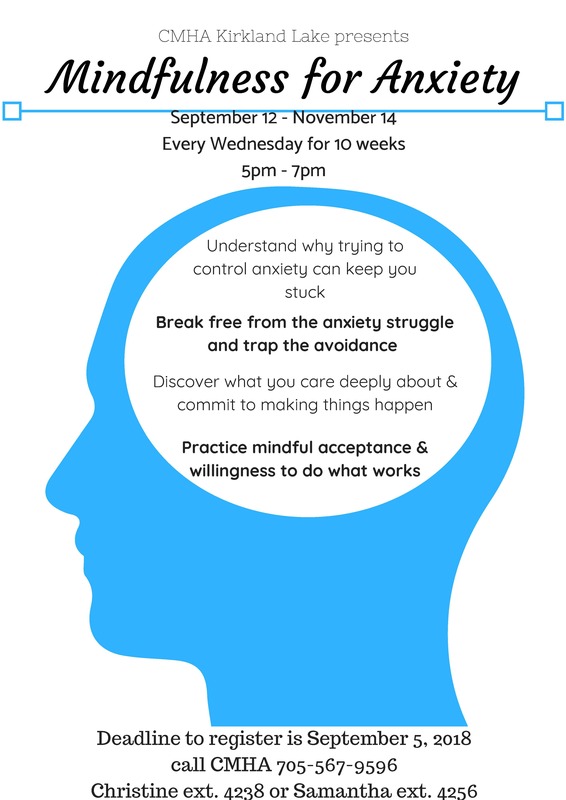 Break free from anxiety by joining this 10 week group in Kirkland Lake! Every Wednesday, starting September 12th until November 14th from 5-7 p.m.
Register by September 5th! Call Christine (ext. 4238) or Samantha (ext. 4256) at 705-567-9596. View the group flyer here.